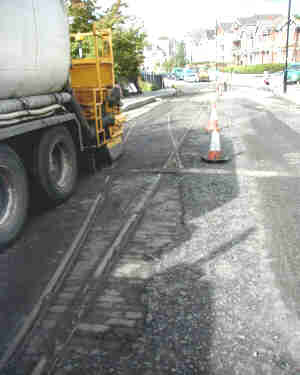 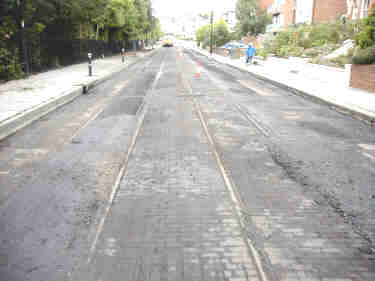 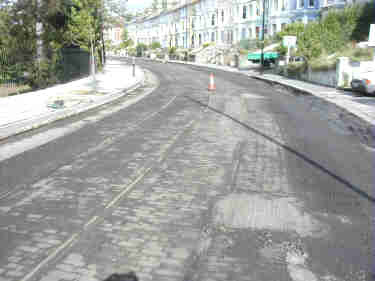 On September 19th and 20th 2000 major road works on St.Helens Road between the Park Gated and Spa Hill revealed an unbroken run of double tram track complete with woodblock road surface, track drains and crossover. 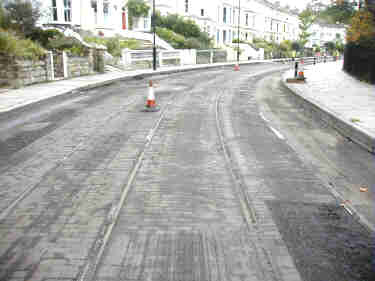 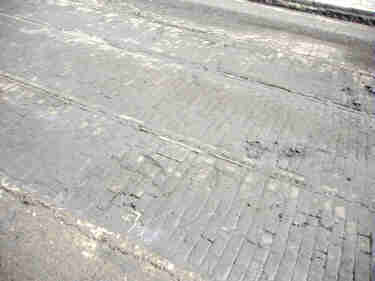 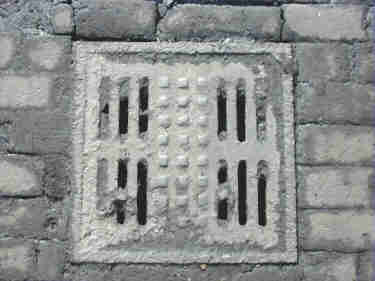 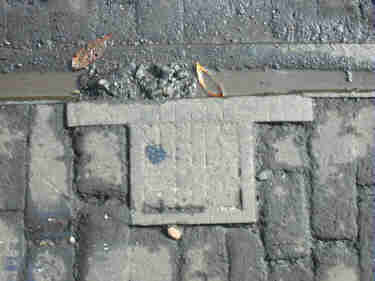 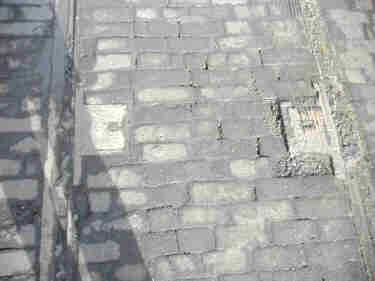 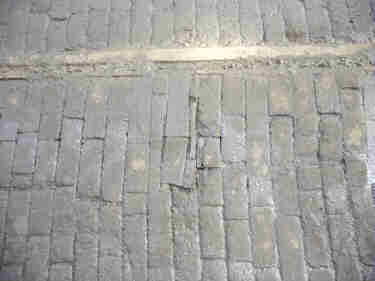 Some of the woodblocks have been removed but the majority will be reburied under the new road surface. 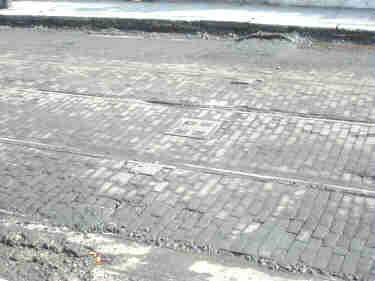 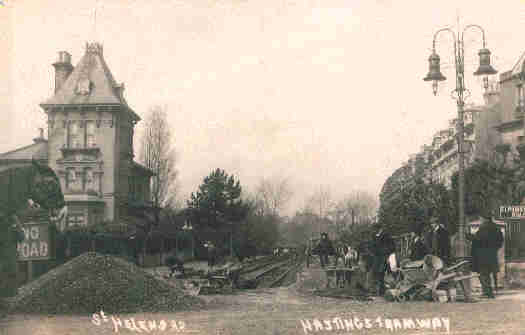 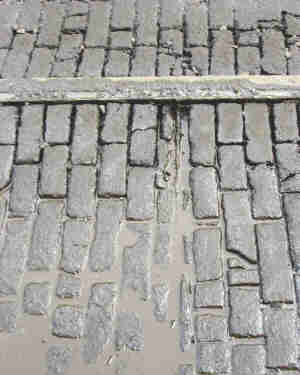 The track was laid in 1905 and covered up around 1930. 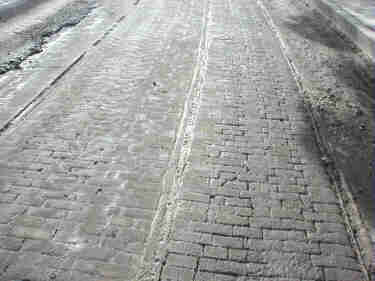 Have a look at the Queens Road Bridge which is just behind where the early photographer was standing. 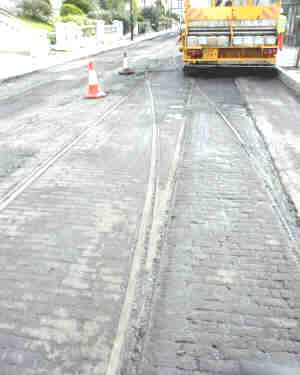 The track would have continued to the right, up Spa Hill and right again into Laton Road. 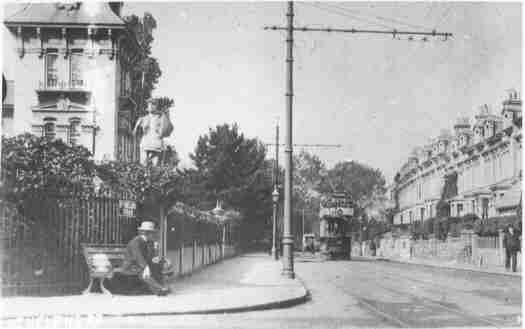 This crossover, presumably for short working to Alexandra Park, is not shown on system maps or the 1928 Ordnance survey.